The process of enjoying plantain is so incredibly easy that had I only wrote the formality of it, there simply would not have been enough sustenance to build an article. Still I like to keep it simple. Here’s the bulletin. During spring, the flower stalks have begun to shoot up. Collect these buds just before they blossom, preferably the top 5in. After a quick rinse, you can boil or steam the tops. Boiling helps reduce bitterness. Sauté with olive oil using your favorite seasoning. Lime juice may also help disguise any bitter flavors. 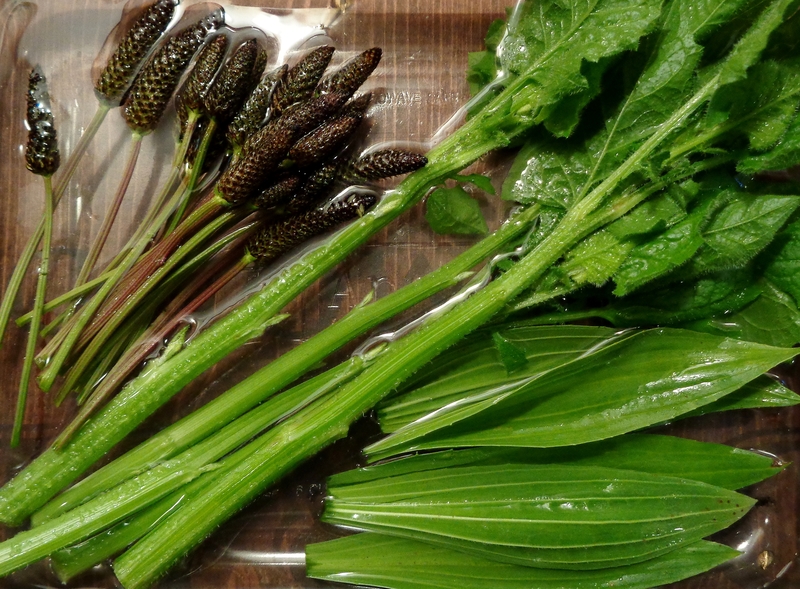 Narrowleaf Plantain shoots next to Nipplewort Stalks ready to be steamed. Fully cooked and ready. Plantain is a great source of Iron as well as leafy green vitamins and minerals. 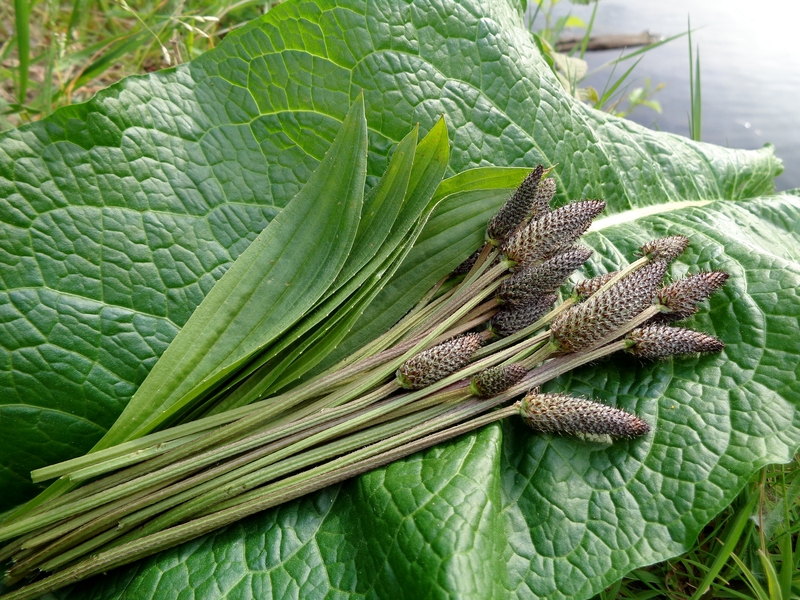 For more recipes on wild edibles of the pacific northwest, please be sure to hit the follow button. Thanks for reading and till next time, Happy Foraging! 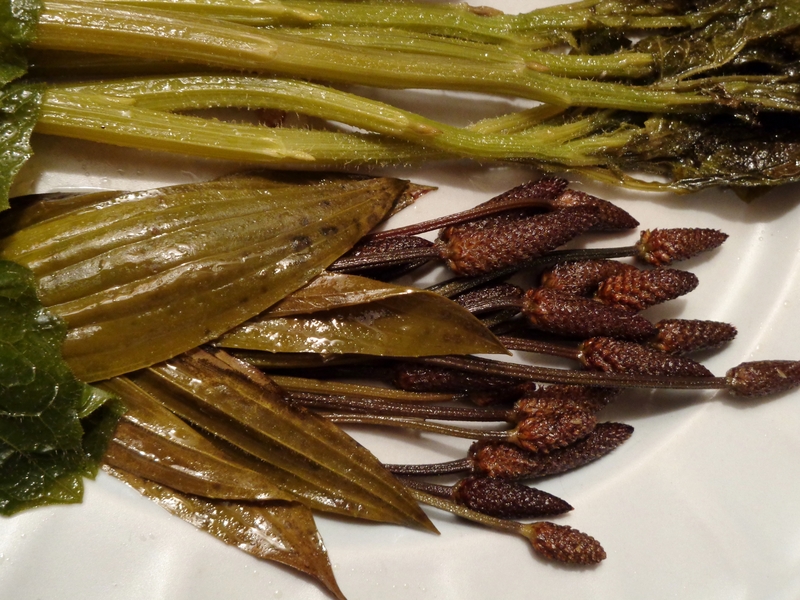 -Henry H.
Previous Cattail Pickles – How to make.